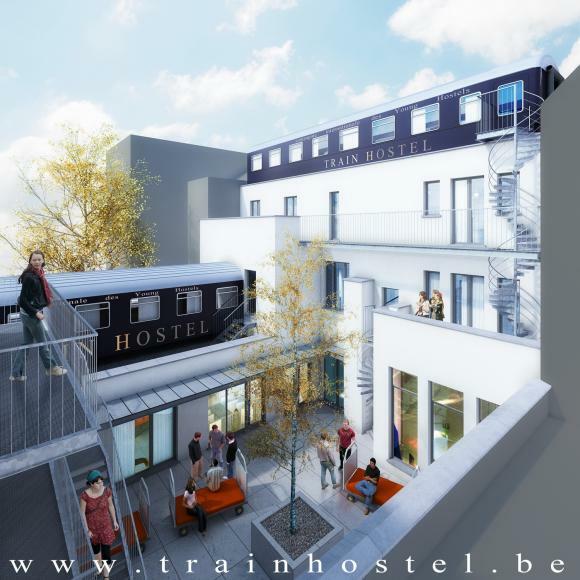 2013-06-01 – Train Hostel is a concept of hostel based on the theme of "trains". It is currently under construction and is expected to be inaugurated for summer 2014. It is located Avenue Georges Rodenbach, literally next to the Schaerbeek trains station and the adjacent "soon to be" TRAIN WORLD museum. The hostel will accommodate near to 160 people in apartments from 2 to 6 beds, with or without private bathrooms. It will integrate parts of authentic railway sleeping cars with compartment up to six bunks. 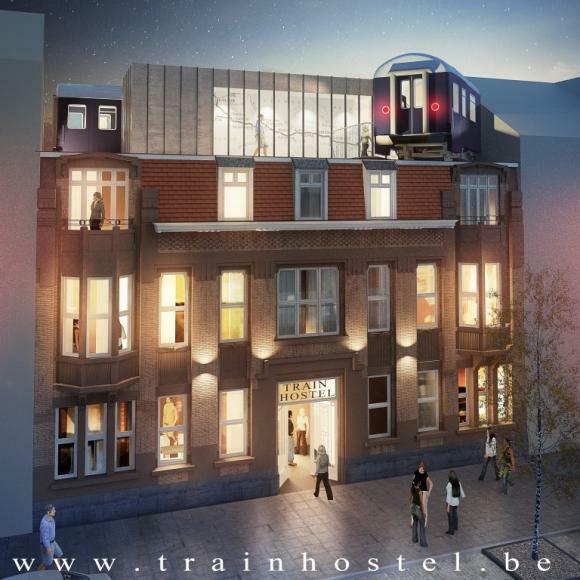 It will also offer a "Orient Express" suite. These carriages were actually in operation only a few years ago. Pricing will be extremely democratic. Internet prior reservation will be required. Customers will have the chance to book either a bed or a full apartment.